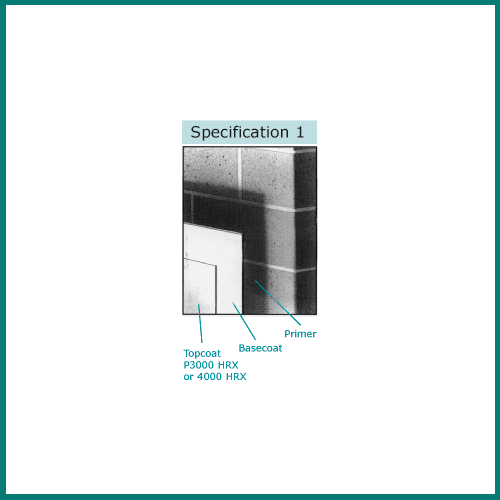 The Tefcote System provides a long-term solution for hygienic surfaces. The system is easily applied to a variety of substrates, including tiles, plaster and plasterboard, brick, breezeblock, concrete, steel, timber, stonework, and existing paintwork. The glass fibre reinforcement enables the coating to become an integral part of the wall or ceiling, creating a continuous, seamless surface. It has no inherent memory and so can effortlessly cope with complex shapes and is easily applied behind obstructions. Key advantages of the system are its resistance to chemical, climatic and physical attack, as well as to erosion and corrosion. It also possesses excellent anti-graffiti properties. 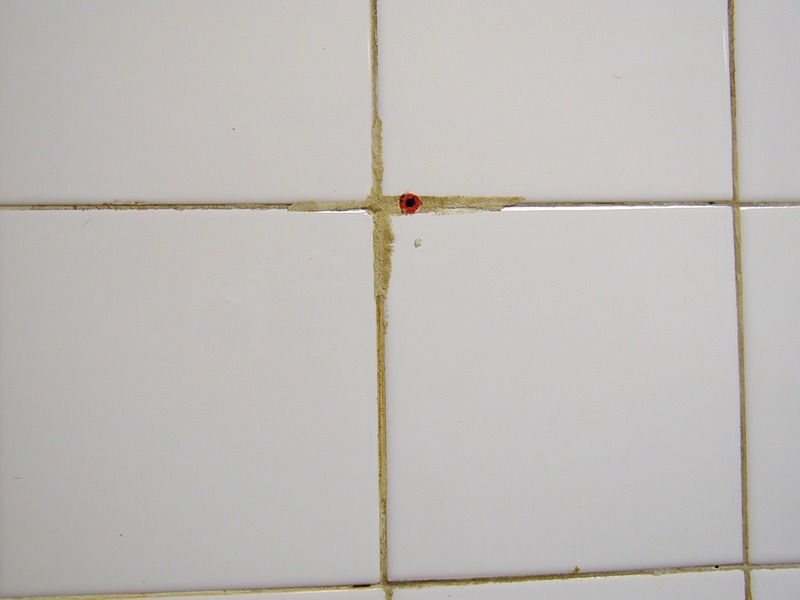 The unique use of PTFE within the system makes the surface extremely easy to clean. It has been proved to reduce cleaning times by up to 50%. The active biocides in the topcoat keep the surface completely free from mould, bacteria, fungi and algae throughout the product’s lifetime. Both topcoats are waterborne products of premium quality. Each contains finely dispersed PTFE, which is durable and easy to clean. High-grade anti-pollution coating for moist and cleanable applications, e.g. food preparation areas, kitchens, toilets and bathrooms. Can be used in areas plagued by water, chemicals, bacteria and physical damage. Ideal for use in hygiene demand areas. Excellent resistance to weathering, yellowing and UV exposure. "Breathable"' coating, with anti-soiling properties. 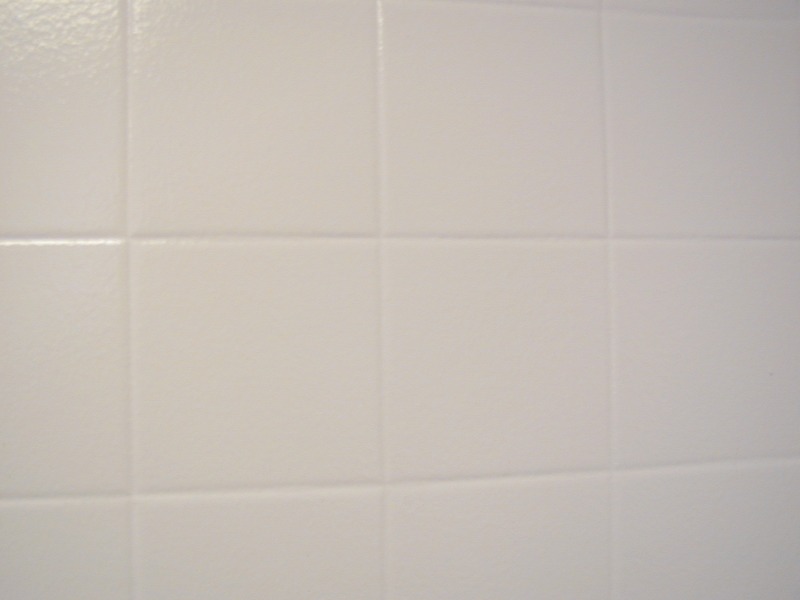 High-grade coating for wet room applications, e.g. food processing, severe duty kitchens, shower rooms. Can be used in areas affected by solvents, chemicals, bacteria and physical damage. Ideal for use in high hygiene demand areas. 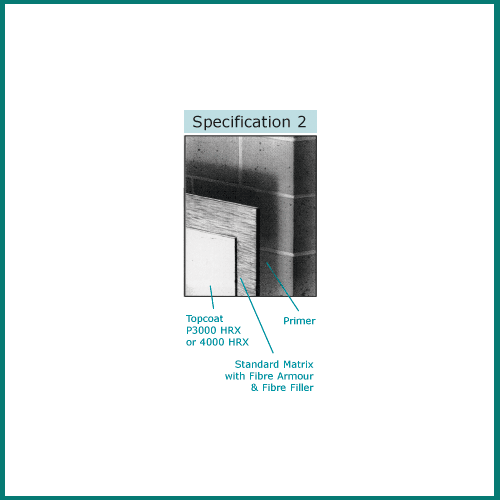 A Glass Fibre Matrix can become an integral part to the Tefcote System. It allows the system to become extremely hard-wearing and will ensure the hygienic coating remains effective for longer. This matrix is a non-woven, web-like felt of randomly dispersed glass fibres. 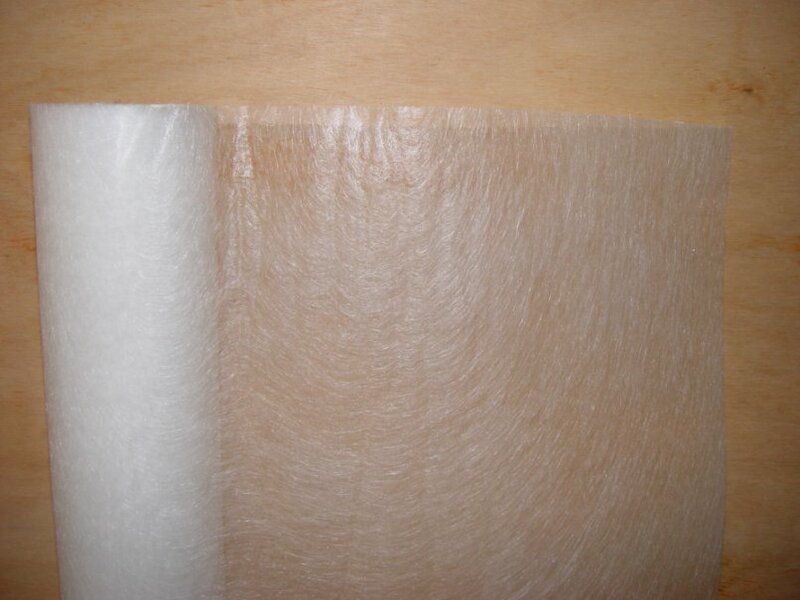 The glass fibres are bonded by means of a binder compatible with Tefcote Fibre Armour. The matrix displays exceptional dimensional stability and resistance to folding, creasing or wrinkling during application procedures. The matrix has high tensile strength in both longitudinal and lateral directions and is acid and alkali resistant. The Tefcote Standard Matrix weighs 30g per square metre. A Medium Matrix is also avalible in 50g per square metre. A reinforced system is recommended in wet room applications, for example, shower rooms, bathrooms and pot-wash areas in kitchens. The fibre-glass prevents water and steam from penetrating the coating. Laboratories also greatly benefit from a reinforced system, as it aids the HRX containment of any possible infections. This is a straight forward coating system, which provides microbiological control and a high level of cleanability. Reinforced with a glass fibre matrix, this specification encapsulates both walls and ceiling in a durable film for long term protection. Primer can be applied to a range of surfaces to eliminate defects, including tiles, brickwork, concrete, plaster, steel and timber. A premium quality, water-based base coat is then applied to give superior cover. Either Topcoat P3000HRX or 4000HRX, also waterborne, is then applied to complete the system. The finely dispersed P.T.F.E. ensures that the surface is easily cleaned and remains durable. Primer is applied to the substrate. A standard matrix of fibreglass is fixed to the surface with Fibre Armour, a water-based styrene-acrylic, high-quality adhesive. Tefcote Fibre Filler, which fills in between the glass fibres and ensures a smooth finish, provides a tough and long lasting surface. Either Topcoat P3000HRX or 4000HRX are applied to complete the system. The Tefcote Surface System is extremely tough and long lasting, thanks to the exclusive component containing finely dispersed PTFE. A reinforced system ensures that the surface does not flake, peel or crack throughout its lifetime. This helps the coating to remain highly aesthetically pleasing. acts as only a guide to the colours available.